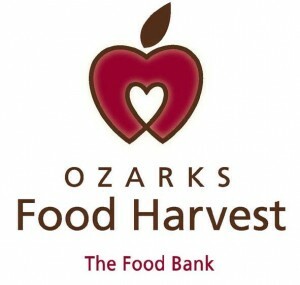 Ozarks Food Harvest (OFH) is a food bank located in Springfield, Mo., and is the only food bank in southwest Missouri. It provides food to a network of approximately 300 agency partners such as food pantries, shelters, senior centers, low-income daycares, domestic violence centers and more across 28 counties in the Ozarks, which accounts for an annual distribution of nine million pounds of food. Additionally, The Food Bank offers several direct service programs such as the Weekend Backpack Program™, Kids Cafe® and the Mobile Food Pantry™. Penmac supplies OFH with some of its workforce in the clerical, industrial and transportation divisions of the organization. Since 1999, Penmac has placed hundreds of employees at OFH. A Penmac employee who is a truck driver for OHF, Kurt Lubin, said of his employment, “I have great bosses; they are always kind to their employees. It [Ozarks Food Harvest] is an excellent company to work for.” Mr. Lubin picks up food from Springfield grocery stores and delivers to Springfield-based food pantries. Mr. Lubin mentioned that he has a good working relationship with all of his accounts; in his 10 years experience in transportation, Lubin considers OFH to be one of his most rewarding positions. “I would have to say the most beneficial aspect of utilizing Penmac is that I get trained drivers when I need them. Penmac also knows my business needs and aligns the correct worker for our needs,” commented OFH’s Operations Manager, James Thompson.